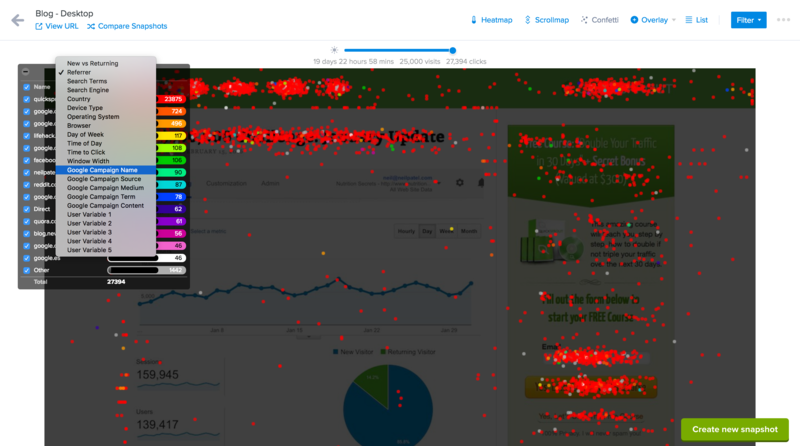 When an incoming link to one of your tracked pages has been manually tagged with campaign information in the manner specified by the Google Analytics documentation, Crazy Egg processes and displays that information in the Confetti report for that page. 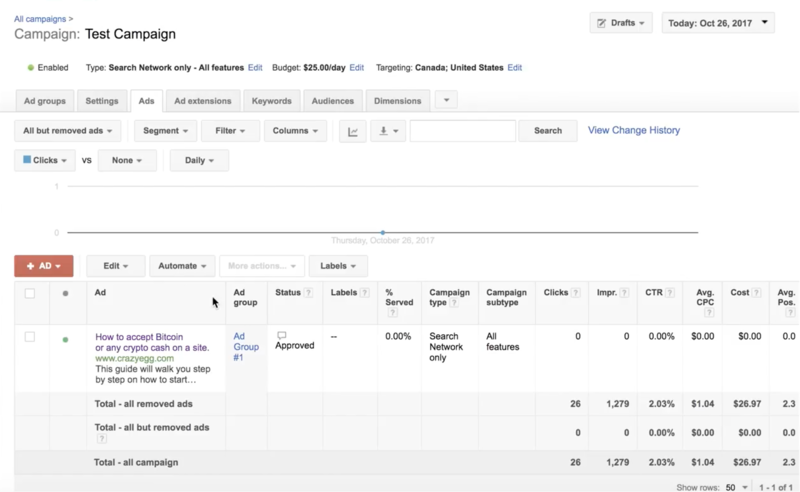 This allows you to associate clicks with a campaign source, medium, term, etc. You can get help embedding campaign information into your links by using Google’s URL Builder tool. Once you’ve generated a URL using the URL Builder, replace the ad URL with this newly generated URL in your campaign settings. Note: Users of both Google Analytics and AdWords should be aware that simply enabling auto-tagging will not allow Crazy Egg to track campaign information. Auto-tagging does not add the campaign information to incoming URLs that our tracking script needs in order to associate a click with an AdWords campaign. In this example, we’re sending Google Adwords traffic to a blog post on the Crazy Egg blog. Here’s what the entire link that’s embedded within the advertisement looks like. utm_medium - Social, Organic, PPC, Paid Advertising, Email, Affiliates are typical mediums. utm_source - The individual site you’re tracking. utm_term - The keyword or phrase you want to track. utm_campaign - If you’re running a special seasonal campaign, you would use something descriptive to identify it here. For more in-depth information on how UTM parameters work as well as plenty of examples to learn from, please read A Handy Guide to UTM Codes: Know Which of Your Campaigns Really Work.